Grant Helps Support Students Through Education. Butler Community College’s Adult Education Department was awarded a grant for $11,000 by the Dollar General Literacy Foundation to support Adult Literacy. The grant will fund a part-time Volunteer Coordinator who will go to community organizations to help gather volunteers. These volunteers will work one-on-one with adult education students to teach them basic literacy and math skills and help strengthen adult literacy in the area. Along with assisting Butler’s adult literacy program, volunteers may also work with prisoners in the El Dorado Correctional Facility to help them gain basic skills that will further their opportunities upon release. In addition to teaching basic literacy, volunteers will help students on campus or in a variety of outreach locations, with skills to help them pass the GED exam, prepare for college or prepare for a new career. Butler’s Adult Education program sends staff and volunteers to Butler’s Andover and El Dorado campuses and other outreach sites, as well as the correctional facility. By volunteering two hours a week, individuals help adults learn basic skills. 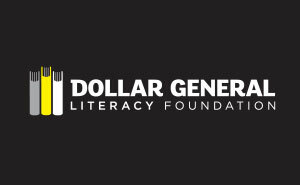 This grant from the Dollar General Literacy Foundation helps Butler create a more productive and successful society. Butler’s adult education program provides classes designed to help individuals strengthen their educational, technological and workplace skills. These skills can open the door to new possibilities through opportunities to prepare for and attend college, increased financial security through better employment, and the opportunity to earn a Kansas State High School Diploma. Butler offers classes throughout the area, as well as at its newest partnership location, The Wichita Indochinese Center in Wichita. Please call 316-323-6074 for more information.